MIKE MARSHALL, mandolin, is one of the world’s most accomplished and versatile acoustic musicians, a master of mandolin, guitar and violin whose playing is as imaginative and adventurous as it is technically thrilling. Able to swing gracefully from jazz to classical to bluegrass to Latin styles, he puts his stamp on everything he plays with an unusually potent blend intellect and emotion Â¨ a combination of musical skill and instinct rare in the world of American vernacular instrumentalists. Now living in Oakland, California, Mike grew up in Central Florida, where throughout his teens he played and taught bluegrass mandolin, fiddle and guitar. In 1979, at the age of 19, he was invited to join the original David Grisman Quintet. Mike has since been at the forefront of the acoustic music scene, playing on hundreds of acoustic-music recordings both as lead artist and ensemble performer. His 1982 Cd, Gator Strut, is a classic example of a new generation of bluegrass virtuoso instrumentalists forging new directions in this vital musical style. Throughout his career, Mike has performed and recorded with some of the top acoustic string instrumentalists in the world, including jazz violinist Stephane Grappelli, fiddle virtuoso Mark O’Connor, five-string banjo phenom Bela Fleck, bassist and MacArthur Fellowship winner Edgar Meyer, and classical violinist Joshua Bell. Mike and violinist Darol Anger formed a partnership in 1983, together they formed the band Montreux with pianist Barbara Higbie, bassist Michael Manring, and steel-drum virtuoso Andy Narell. The group released five recordings on the Windham Hill label and toured extensively throughout the U.S., Canada, Europe and Japan from 1984 to 1990. While continuing to be an active member of Montreux, in 1986 Mike founded a classical string quartet of mandolin family instruments — two mandolins, mandola and mandocello. The Modern Mandolin Quartet released four recordings for Windham Hill Records that redefined the mandolin in a classical-music setting. In 1995, the Quartet made its Carnegie Hall debut and, in 1996, received a “Meet The Composer” grant from the Lila Wallace Foundation. Meanwhile, Mike had traveled to Brazil and begun his love affair with choro, an indigenous music that is to Brazil what bluegrass is to the U.S. 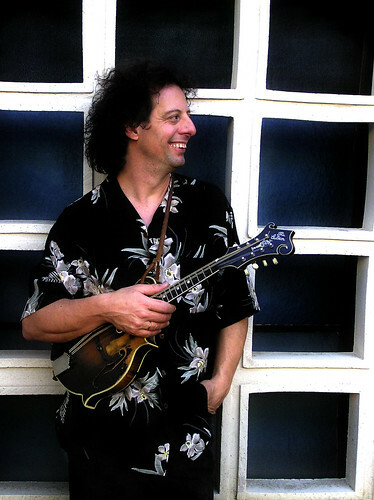 He embarked on an in-depth study of the style that resulted in the CD “Brasil (Duets).” This recording showcases Mike at the top of his form as a mandolinist in duet settings, and features top instrumentalists such as Andy Narell, Bela Fleck, Edgar Meyer, bassist Michael Manring, and keyboardist and flutist Jovino Santos Neto. Mike has continued to push the boundaries of acoustic instrumental music. After tapping Fleck and Meyer for the “Brasil (Duets)Ã® roject, he collaborated with the two masters on a 1997 Sony Classical release titled “Uncommon Ritual.” The album charted on the Billboard Top Ten Classical Chart, where it remained for more than three months. The follwing year, the ensemble opened the Chamber Music Series 1998 season at Lincoln Center’s Alice Tully Hall. Mike worked with Meyer yet again on the 1999 “Short Trip Home,” another Sony Classical recording with Joshua Bell and fiddle-and-mandolin player Sam Bush. Mike has two holiday recordings to his credit: In 1998, he released “Midnight Clear,” a solo guitar recording, and in 2000 he recorded “A Christmas Heritage” with banjo player Alison Brown, Darol Anger, mandolinist Tim O’Brien, Todd Phillips and pianist-composer Phil Aaberg. That band, called New Grange, also released an eponymous CD on Compass Records. Today Mike can be heard on the Car Talk soundtrack recording every week on NPR along with Earl Scruggs, David Grisman and Tony Rice. In addition Mike composed and recorded the theme music for the San Francisco based radio program Forum heard daily on KQED radio. Darol Anger remains an important collaborator for Mike. To date, they have released 6 albums as a duo on Compass and Windham Hill Records. Together they have also recorded under the moniker Psychograss with guitarist David Grier, banjo player Tony Trischka and bassist Todd Phillips. Over the past several years, Mike has also been collaborating Chris Thile, of Nickel Creek. The two mandolinists began playing together at festivals, and their performing together eventually evolved into a duo, recording their first album in 2003. The cd, entitled Into the Cauldron, is a mandolin duet project performed entirely on mandolin and mandocello. Into the Cauldron was released on Sugar Hill records, and was listed in the top ten of Amazon.com’s favorite recordings for 2003. Back in the realm of music, Mike is currently working on further collaborations with Darol Anger, performs intermittently with Edgar Meyer and Chris Thile and has just released a CD project with pianist Jovino Santos Neto entitled Serenata featuring the music of Hermeto Pascoal Brazil’s most important musician/composers living today. The Cd has been released on MikeÏ€s own label called, appropriately, Adventure Music.